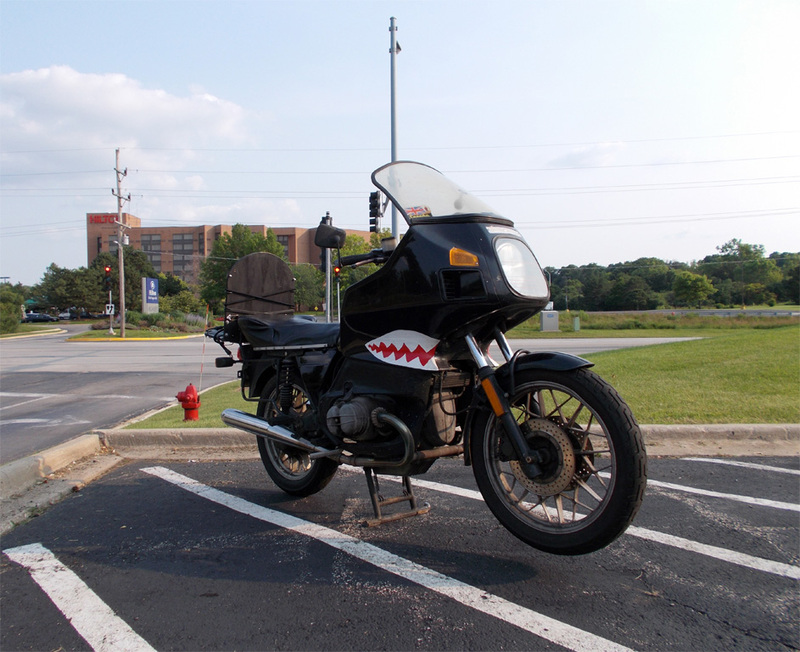 I spotted this cool Beemer while I was out riding today. I’m not sure which model (models?) it is, but I believe that’s a BMW boxer engine. I’m digging the custom paint job. It’s a little reminiscent of the WWII-era bomber planes. 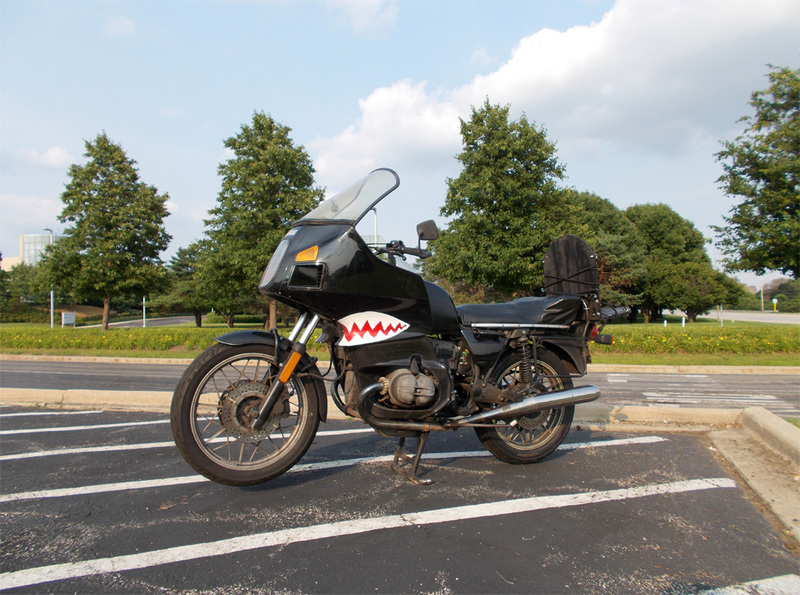 The closest thing I could find is a photo of a ’94 R100rt which looks somewhat similar.